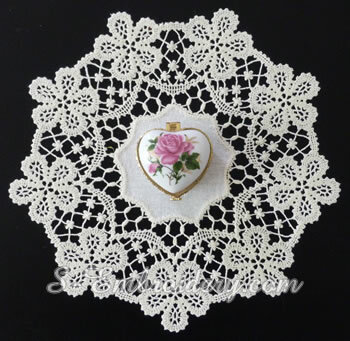 The design will fit in larger hoops. 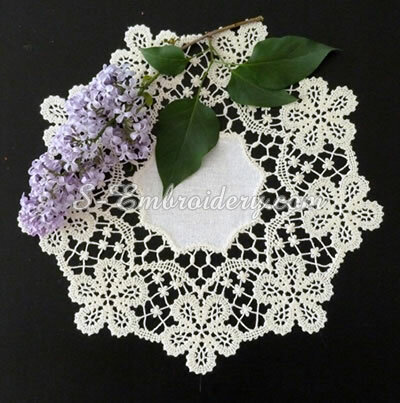 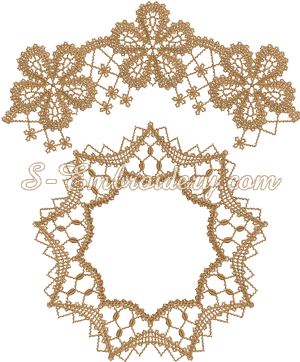 To create the lace doily, featured on our web site, you will also need some fabric (e.g. 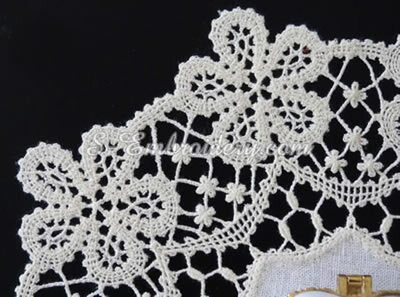 linen).